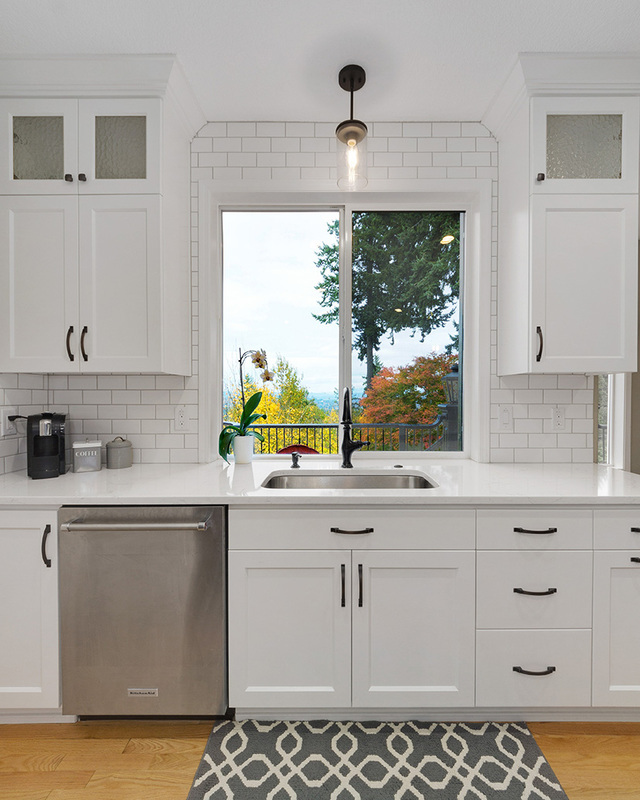 Prior to the design changes by Sitka Projects this Kitchen had no flow, was cramped, dated, and flat out just didn’t work like it should. 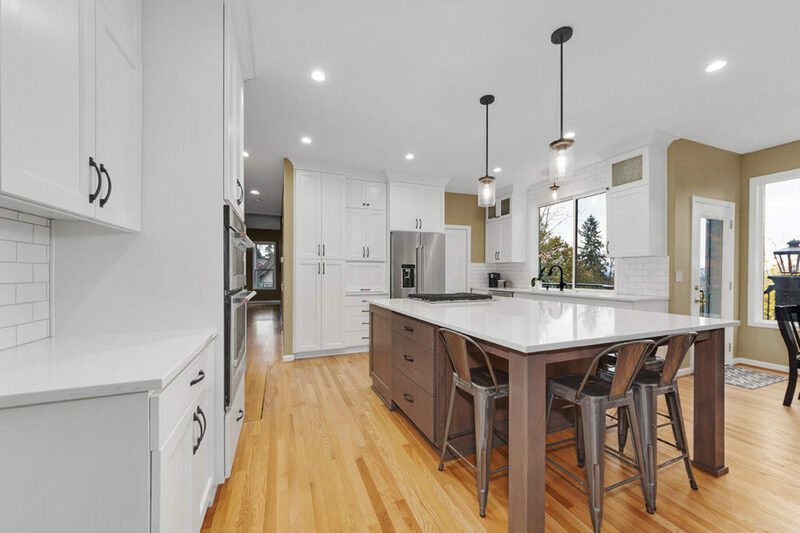 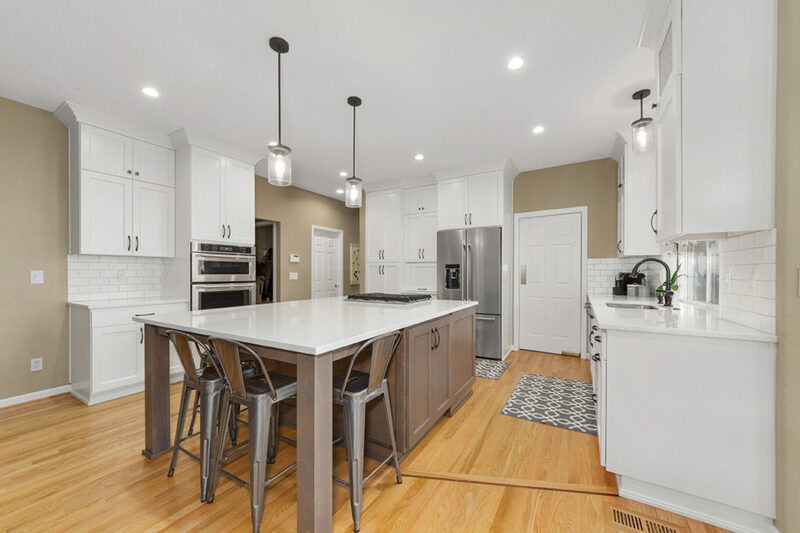 This is a dramatic before and after includes, Quartz countertop, full height tile backsplash, matched existing wood floors and refinished in the kitchen, nook and family room. 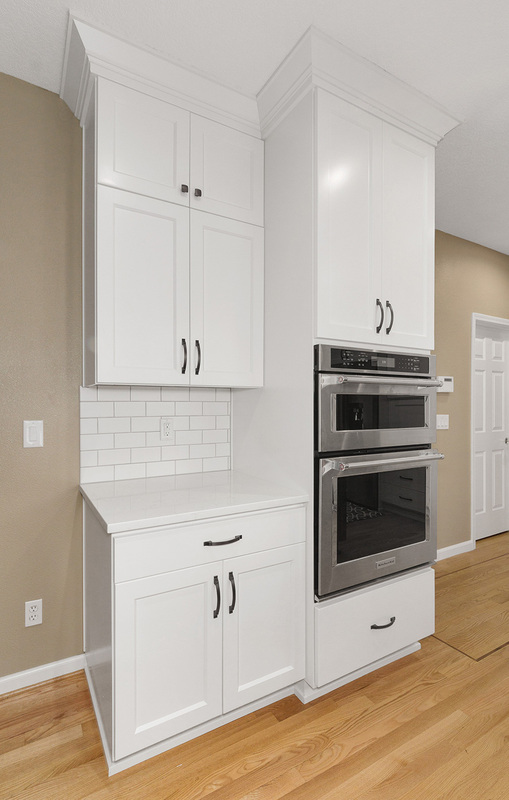 Shaker style doors and drawers painted white. 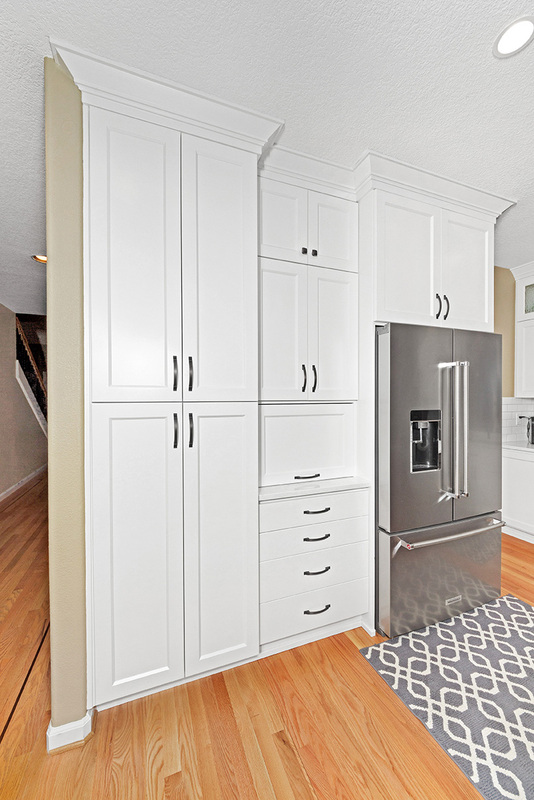 The island has a built-in eating area that is a unique gray color you can see thru to the wood grain. 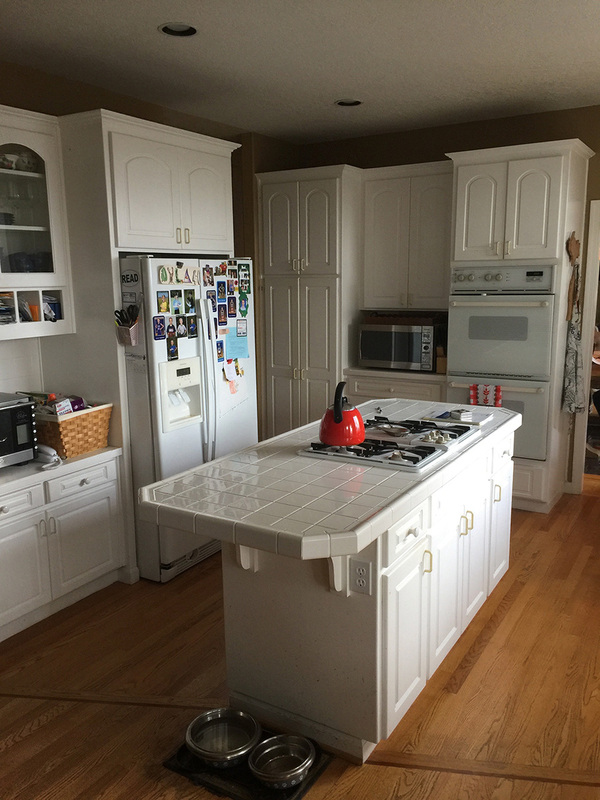 Walls were moved to create more space in the kitchen.